With Little Las Vegas fun casino table hire, we have a number of games to create an authentic and varied casino night. Whether you’re looking for Roulette table hire, or a an array of games to keep your guests busy, we can bring the fun directly to you with our mobile casino hire Nottingham, Derby and right across the Midlands. Or as i like to call it… ‘posh pontoon’. Its a quick, fun and easy game to learn. 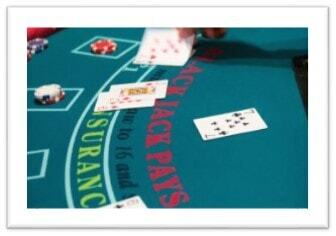 With blackjack table hire, you simply play against the dealer and get get as close to 21 without going over! All you need to do is cash in your ‘fun money’ for casino chips, head over to the table and give it a whirl. Roulette is the glamorous casino game. Quick to pick up, easy, fun and fast. 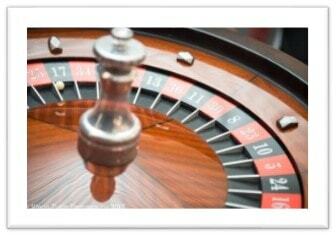 With Little Las Vegas, roulette table hire is part of the package. The dealer spins the ball, you see if you can win BIG on the number or play red or black…. ….win big in one go! The easiest Poker game you can play! You will be dealt five cards, and you see if you can get a better hand against the dealer. Win with a pair, a flush, a straight or many more hands. The better the hand, the bigger the win. All of our Little Las Vegas games are part of our inclusive mobile casino hire package. If you’re wanting blackjack, stud poker or roulette table hire Derby, Nottingham or anywhere in the Midlands region, we’ve got a game for you! As part of our bespoke casino table hire, you can tailor your casino night to you and your guests.